Applied GS Towers are the support for the AGP 2 style goal post system. 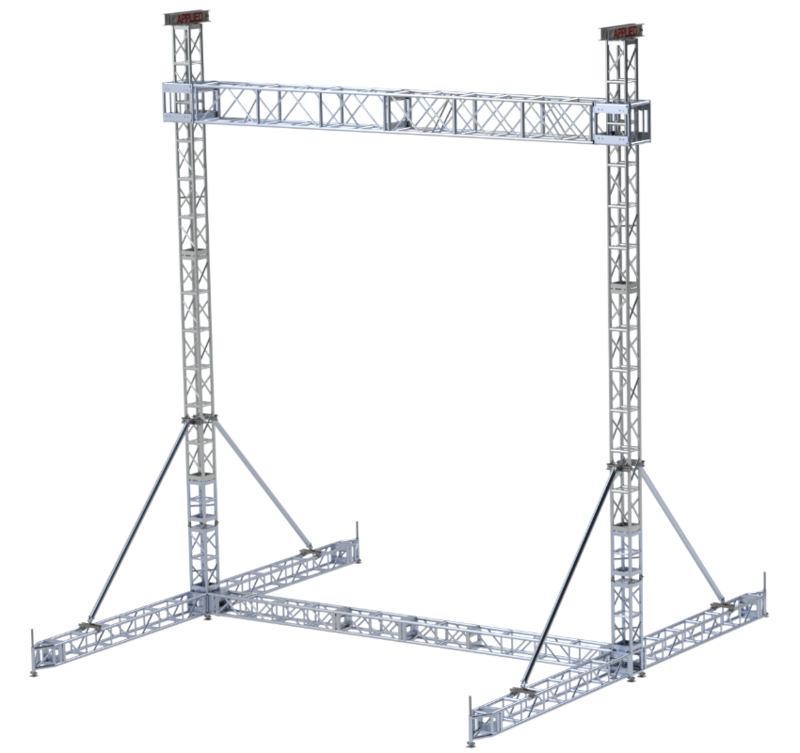 The standard cross truss is 20.5” x 20.5” heavy duty box but the final product will depend on screen weight and size. The package includes a guy wire package and a third-party engineering report with load limits, ballast requirements and an operations management plan.